Did you ever have that one vegetable you sincerely hated? I hated okra with every slimy fibre of its being. This was one of my mom’s favorite veggies and on a night when we didn’t prepare much food, she always had some form of boiled okra on our table. As a kid, I did not enjoy its mushy slimy texture. Even when I was hooked on natto, I just could not seem to love okra. It was bland, mushy, and unnecessarily slimy. It wasn’t until I tasted the okra at my friend’s house that I realised that our family had misunderstood okra. 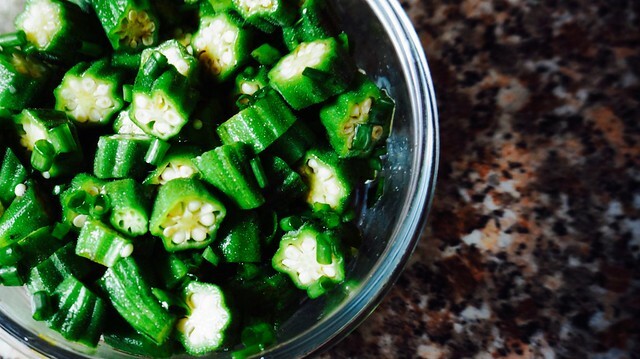 My friend’s okra in ponzu was a fresh and simple dish that brightened even the slimiest lady finger. So when I moved to Australia, I made a commitment to eat healthier and live a little healthier than I used to. It helps that fast food in Australia is a bit different as there are healthier options conveniently available compared to Manila where vegetables with your burger goes as far as fries. A salad in a fastfood joint is a dream but not here in Australia. Still, eating out is a lot more expensive than cooking in which is ALWAYS much healthier and cheaper by my book. Anyway, back to veggies. I’m the kind of person who enjoy the little veggie servings that come in a dish. In Japan, they have a wide array of tsukemono (pickles) or okazu (side dishes) that whet my appetite. I realise that in Korean cuisine this is the same. Outside of kimchi there’s one Korean side dish that excites me — namul. 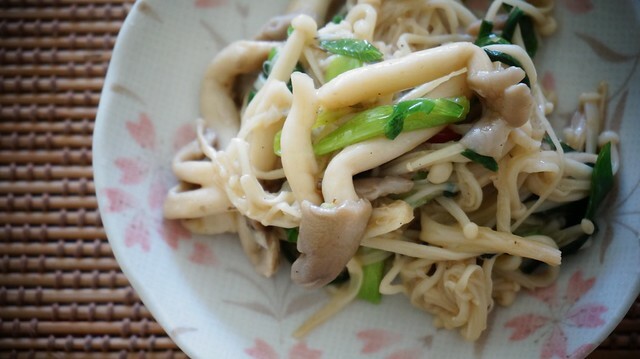 I first fell in love with mungbean sprout namul called sukjunamul or moyashi namul in Japanese. After having learned how to make this, I realise that I can literally turn any vegetable I want into a namul. Thus, I was inspired by a post from one of my Korean friends who shared a photo of their dinner which had some kind of mushroom stirfry. I thought, why not? Mushroom namul sounded like a great idea.